iNum is a service that aims at making the world a real 'global village', one without borders and geographical distance. Through location-independent numbers, it allows users to establish a unified presence worldwide. iNum provides users with phone numbers with the +883 global country code, a code that has been created lately by the ITU. One can use a +883 number as a virtual number and be contacted through his phone and another communication device anywhere he/she is in the world, without having to worry about area codes and rates associated therewith. As we write this, the service is not fully ready yet and not available in many countries and places. It is in private Beta. Slowly, more partners are being added in a so-called 'controlled' way. This is changing quite fast. Your location or service might be in the list tomorrow or the day after; but according to Voxbone, the company behind the iNum service, the whole world, including remote places, can benefit from the service approximately by the end of 2009. How To Obtain An iNum Number? There are a number of partners that make up the so-called 'iNum community', which is a group of carriers that agree to provide free calls to iNum to their users, are free of charge. In short, iNum provides the number and the partners add value to that basic service. Today, there are a handful of partners that are already providing the numbers. 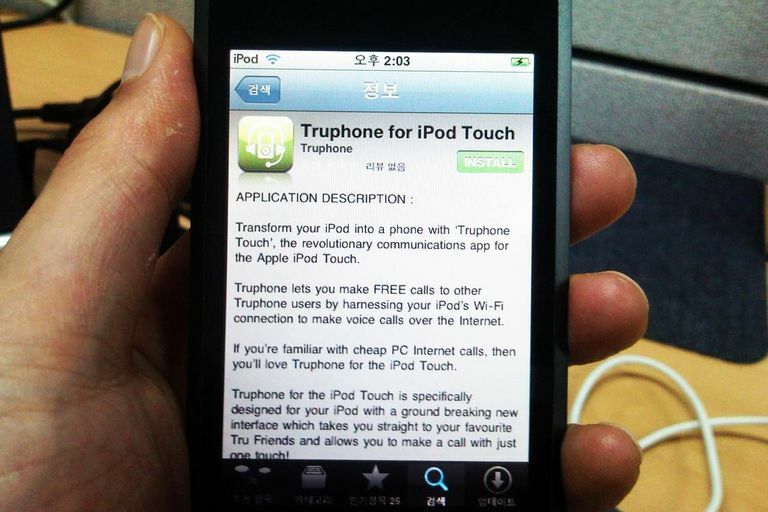 Examples are Gizmo5, Jajah, Mobivox, and Truphone. The numbers can be obtained from these partners for free. Here is a list of the partners and of the locations from which iNum can be accessed so far. Take Gizmo5 for example. You already have an iNum number if you are a Gizmo5 user and have a SIP number with them. You just have to replace some of the first digits in the number (the 1-747) with 883 510 07. Contact your provider if you have a SIP number with one of the partners for instructions on how to use your iNum number. So keep checking the list for updates. The iNum number itself is free of charge. Once you have a SIP number from one of the providers, you already have an 883 iNum number. Calls within the iNum community are free. The free spectrum will enlarge over time, as new carriers join the iNum partner list. Calls from outside the iNum community will not be free. This is where iNum makes money for sustaining the service. By charging calls from outside the community, they get a per minute revenue stream from the originating access carriers that don't belong to the iNum community. Firstly, it will be a considerable ease for users, providing accessibility worldwide through one single number. Also, iNum does not want to stop at voice calls. They are working towards other multimedia communication technologies and unified communications. iNum is bound to open new opportunities and new revenue streams for businesses. It will help Internet-based services become more easily reachable from wireless carriers. Introducing value-added services like SMS, video etc. will be much easier. Voxbone believes that such a service can have the same effect on the communications industry as Asterix had on the PBX industry - it opened up a great number of opportunities for many different actors. We asked Rod Ullens, a contact from Voxbone about how they viewed the competition. We mentioned GrandCentral as an example, which also provides phone numbers that can be used each for accessing different phones in different places. Rod didn't see any service that would stand as competition to iNum since what it offers is new opportunities and hence complementarity. What characterizes other number providers, like GrandCentral, is the number of value-added services and features that come along with the number, like follow me, ring back, voice mail etc. GrandCentral offers numbers only for the US while iNum's numbers have a global reach. Rod also said that Voxbone's role with the iNum initiative is to create this new global number service, and to make it reachable from a maximum of networks for a low fee if not for free; a work they are doing 'behind the scenes'. Their partners add value to the number service by providing other services and features. So, if you love the capabilities and features of one particular service, you can have an iNum number on which all of it works. The only requisite is for that service to partner up with iNum and join the iNum community. The service provider gains a lot as well as a result, as iNum enhances the connectivity between traditionally unconnected domains. One thing you can do as a user is to suggest your service provider to join the iNum community, which they can do on that page, that also contains plenty of technical reasons and benefits for which they will want to join.